So, what's the problem? An off campus group leases campus space. That's a business transaction, and the leasee has the right to set conditions for entrance. I see a problem you haven't mentioned. When the sponsor of an event on hired premises hires off-duty police officers to provide security, and they show up in uniform setting matters like where the "designated protest area" is located, there is a clear conflict of interest. Either they are private security, in which case they have no business acting as police officers, or they are police officers, in which case the sponsors of the event can pay the police department to defray costs that would otherwise fall on the public, but the police respond solely to their chief, not the even organizers. The problem is that the event was advertised as "Free and Open to the public". The free part changed when the organizers realized that most of the people attending were not on their side. If a commercial established offered a free movie, and then announced they changed their mind, and it was now $5, that would be considered fraud, and it would be actionable. The facebook page set up by the group, as well as the Craigs List posting both say "free and open to the public". Are there any conservatives left in this forum? Last I knew, changing the rules on a private event is not a crime. If a store advertises a sale price, then announces that the sale is over, nobody has a claim that their constitutional rights have been violated. The legislature could pass a law about that (regulating commerce), but if it hasn't, then there is no law. If a public institution did something like that, then the courts could parse whether declaring it "open to the public" created a public forum, a quasi public forum, or whether it might still be considered a non-public forum. Given that this turns out to have been a private event, all you can really say is, "If this is how you guys conduct business, I won't be coming back to your events anymore." I'm not arguing that a crime was committed. I'm just pointing out the dishonesty and trickery of the event organizers. They advertised it as free and open to the public with a suggestion donation of 5-20 bucks. Then when they saw they were going to be outnumbered, they tried to charge 5 bucks to the pro-Israel folks. They should be embarrassed. Of course, the university and their potted plants, er...campus police, had no clue of how to deal with it. There was nothing the police could have done about it Gary, as you yourself have said. No crime was committed, only an act of dishonesty, trickery, bad faith... which might be the foundation of a civil suit, but more likely, those defrauded can merely cry "You should be ashamed of yourselves." I doubt this will have much effect on the sponsors. 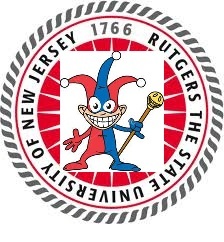 Rutgers might consider establishing a policy that organizations which have engaged in this sort of last-minute reneging on advertised promises may not rent university facilities again.